What's your favorite Pixar movie? The Pixar Faces Grid 16 oz. 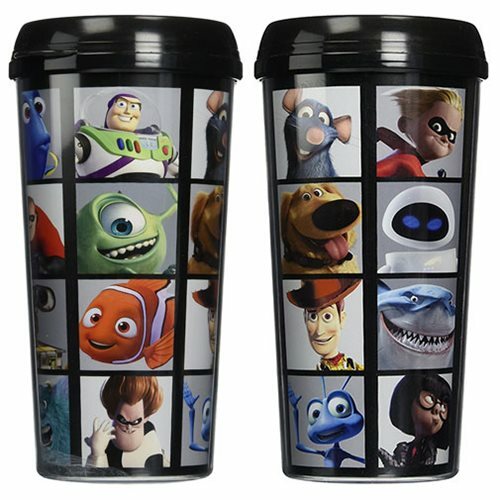 Plastic Travel Mug features characters from your favorite Pixar movies like Finding Nemo, Toy Story, Ratatouille, The Incredibles, Monsters, Inc., Up, Wall-E, and A Bug's Life! This travel mug can hold up to 16 ounces of liquid. Hand wash only. Not dishwasher safe. Do not microwave. Ages 14 and older.